Sometimes when we’re in a hurry or we’re thinking about a thousand important things at once we forget the small things that we rely upon daily. 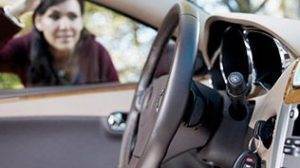 Once you notice that you locked your keys inside of your house or car, you can immediately start feeling flustered. There are multiple ways for our professional locksmiths to gain access to the inside of your vehicle or property without causing any damage. Getting access is also a relatively quick process to perform, but that doesn’t mean that it is an easy one. The factors that can make getting inside more difficult are the position of the door, the grade of the lock’s security and the various security measures that modern locks feature. Keep in mind that when you are in need of a home lockout, business lockout or car lockout service, you can give your local locksmith in Reno a call at 775-276-5673. Calling for a Reno locksmith is an extremely simple procedure, but can require a little bit of patience. 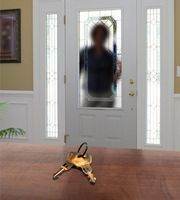 When you call, you will be asked a few questions and a locksmith will quickly be sent to your direction. You will speak to the locksmith about the lockout service as well as the fees necessary and the service will be performed. Once the service is finished as agreed and you are satisfied, payment is processed and the job is finally complete. That easy! • Address: You should know the address of the location of your car or property. If you are locked out of your car and cannot ascertain the address, it is at least very helpful to know of the nearby businesses that can be used to find your location. • Phone Number: You will need a phone for the locksmith to contact you upon his arrival and to ensure he/she arrives at the correct location. Have your phone number on hand when initially calling. Also, keep your ringtone or vibrate on so that you can tell when the locksmith is trying to communicate with you. The keys we use possess great importance to our lives, yet they are so undervalued the majority of the time. Be mindful of the physical condition of your keys and locks so that they can reliably service you for years. This entry was posted in Locksmith Tips and tagged car lockout, home lockout, key, lock, lockout, locksmith, locksmith in reno, reno, reno locksmith. Bookmark the permalink.